TODAY’S QUEST FOR WELLNESS APPLIES TO HEALTH AND BEAUTY. There are secrets to longevity, youthfulness and beauty hidden in the vast ocean surrounding us! Seaweed is our our AMAzing beauty SEAcret. These miraculous plants are chalked full of the world’s most powerful antioxidants such as: Astaxanthin, polyphenols and alpha/beta carotenes; DNA repairing enzymes, skin brightening actives, anti-inflammatory retinols; as well as vital elements such as copper, zinc, magnesium and iodine. In today’s busy world many of us can’t find the time or the extra money to engage in profession beauty treatments. This can leave many feeling left out or missing out. Exercise already came home - we say it is time for beauty to follow suit. Let us help you learn how to “Treat Yourself”. Ama Sea Beauty delivers you professional quality product and step by step instructions that gives you the skills and the confidence to begin a home self-care practice to preserve beauty. Our Thalassotherpies introduces the home holistic beauty seeker a revolutionary new way to support Aging Well through simple daily habits. With just a little education, practice and Ama Sea Beauty products you can create a home crafted marine environment that preserves skin and maintains beauty. Learn how to create an environment where youth can be managed, beauty thrives and aging comes, with an Amazing grace. Ama products and home self-treatments can help you push the boundaries of your own Longevity Possibilities. Skin cells require optimal living conditions to propagate and maintain themselves. Marine actives found in Ama Sea Beauty promote these conditions by assimilating essential minerals and nutrients directly through the dermal barrier. Ama Sea Beauty products and home therapies taps into, the ocean within us. Our marine actives are naturally balanced and offers skin a seawater environment that is entirely bio-available and bio-compatible to assimilate “actives” deeper into the skin. BEAUTY ON A MISSION: The Power of Purpose! In today’s world over consumption, waste, plastic and environmental toxins are a grave concern to consumers and our planet. Our natural world is at risk and we can take matters into our own hands through the reduction of consumer waste and supporting brands that put the planet above profits. Ama Sea Beauty is a brand that turns to conservation, sustainability and smart packaging, to address current ocean issues and to promote mindful consumption. Ama Sea Beauty is local Santa Barbara brand, born to be BLUE. Eco is our virtue and our products grow in local waters, are sustainably harvested and minimally processed. We believe it is imperative to create a huge impact while maintaining a minuscule footprint. 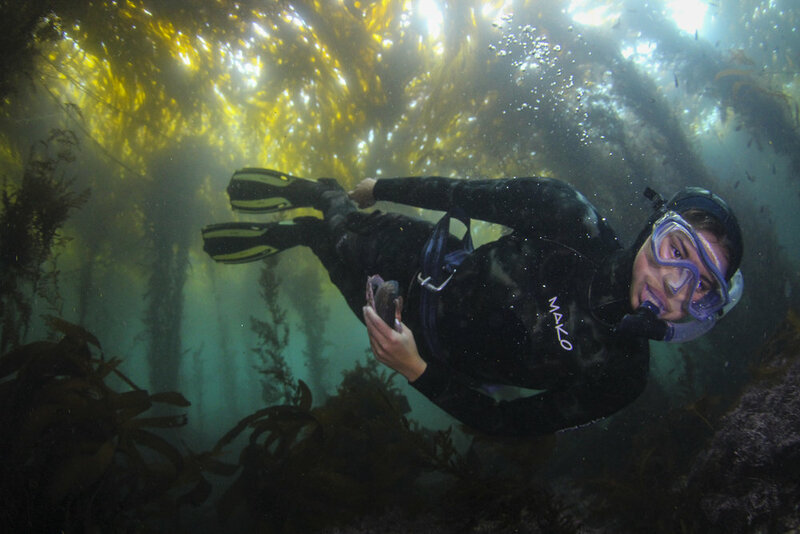 Ama Sea Beauty is mindfully crafted to offer you a unique and effective brand that is actively involved in ocean conservation in California through its own restorative sea-farm. Ama Sea Beauty is based on the fundamental belief that we have the opportunity to actually make a difference. AMA SEA BEAUTY GIVES YOU AN OPPORTUNITY TO BE AN OCEAN STEWARD WITH EVERY TREATMENT. Why should I exercise my face?